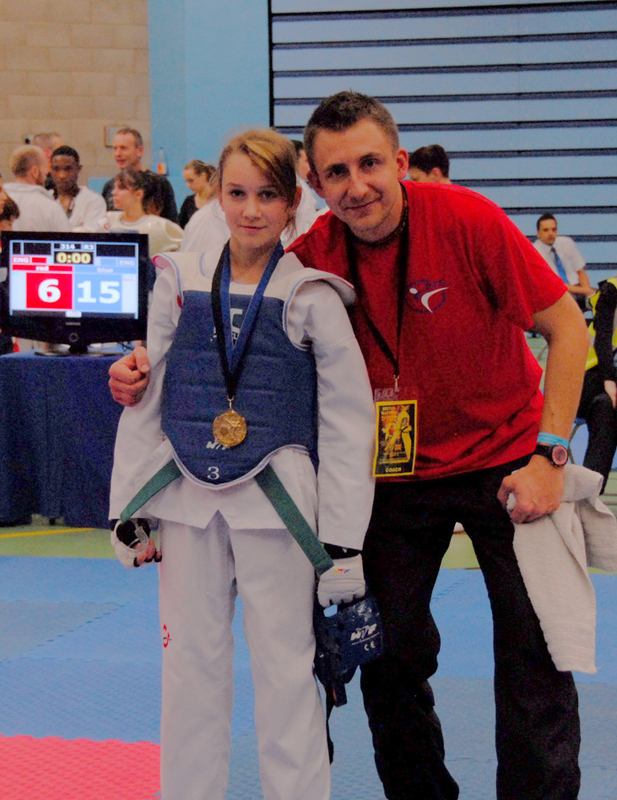 On Saturday Janis took Kara to London for another taekwondo competition. Unfortunately the opponent in her weight category couldn’t attend so it all looked like a waste of time. Eventually the organisers agreed to let her compete against a heavier opponent and she still won gold! Kara and her trainer. The screen on the left hand side of the picture shows the screen, 15 points to Kara, 6 to her opponent. Kara is being sponsored by the company Wicked Coatings http://www.wickedcoatings.co.uk/, this will enable her to attend national competitions and possibly even international ones.